As I am still not feeling too well, I seem to have a flu/nasty cold that runs in a loop, I stayed home in RL and took it a bit easy. 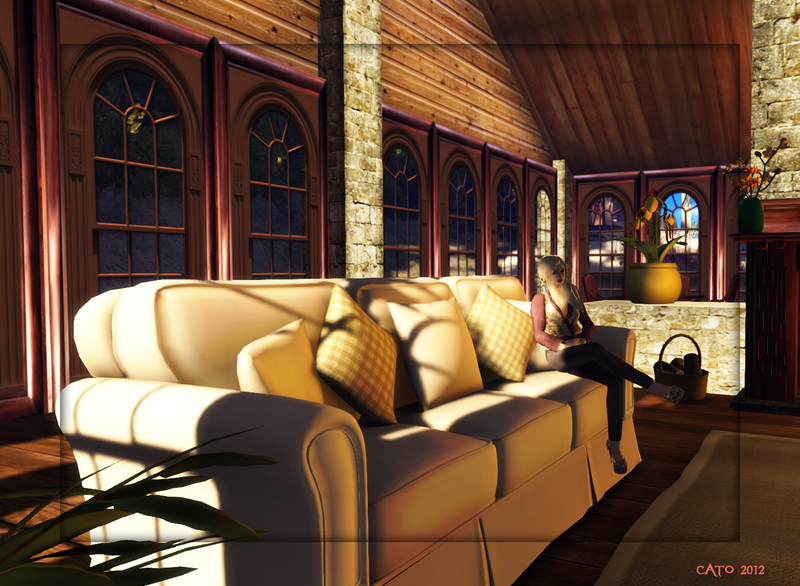 I was planning to explore some in SL but I just could not get in the right mood. So I logged into my house and started moving around some stuff. Always fun! Last weekend I was in Syl’s house and admired her new sofa, all mesh. So. Hm! 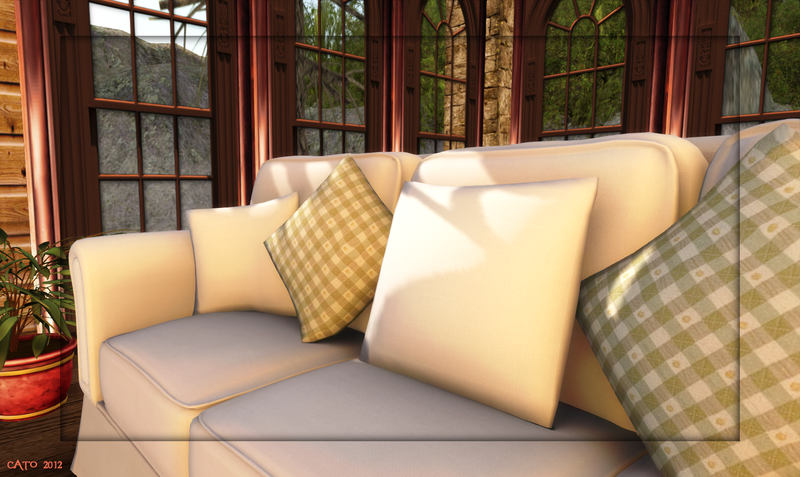 I decided that I really needed a set of comfy sofa’s like those, in my house too! The sofa’s, White Linen MESH , are from La Galleria and come in a complete livingroom-set with all kind of accessories as tables, clocks, paintings, lamps and so on! I only placed the two sofa’s (a two and a three-seater) one side-table and used the picture frames. After moving and rotating and whatnot I was happy enough and sat down and looked around….oh my…I have to say: they really look amazing! The mesh furniture is designed and created by Nacy Nightfire and Pamela Galli for La Galleria and I can only admire the two ladies for their talent and skills! Seriously, I do not want to get up! My pics are not processed in Photoshop, other than putting my frame and sig on it. I have used Windlightsetting [TOR] Midday – Maldives and shadows enabled. As a consequence of these settings the sofa’s look a bit darker than they are in normal daylight – they are white! Since they are 100 % mesh, you need a mesh enabled viewer to see them correctly, otherwise you will see a big pile of donuts…:). Personally, I wouldn’t mind the pile of donuts . . .